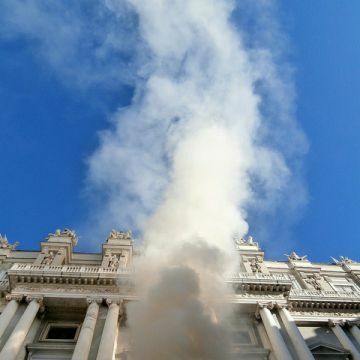 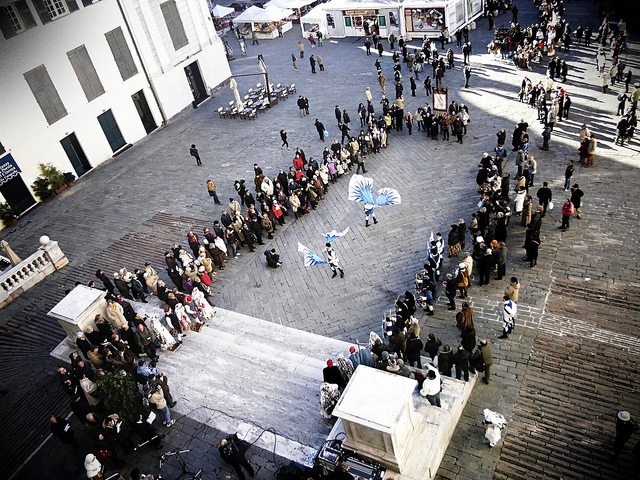 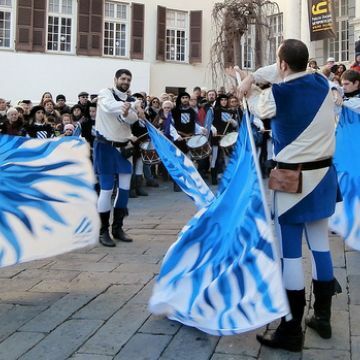 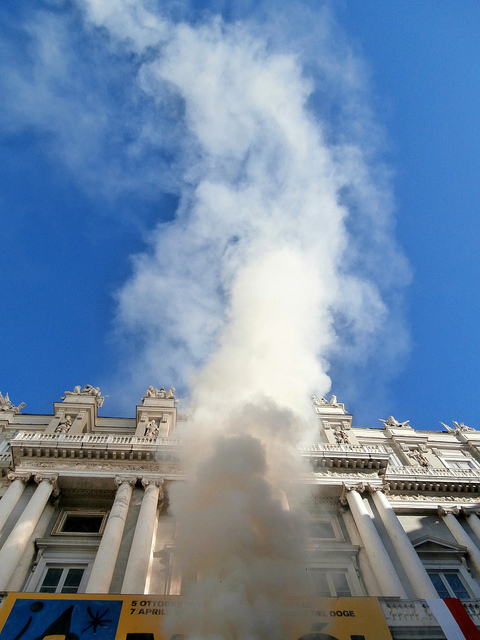 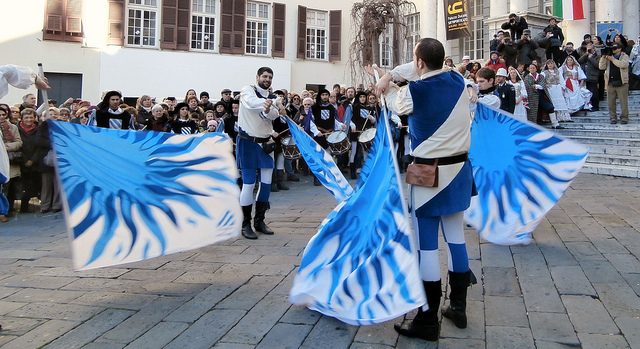 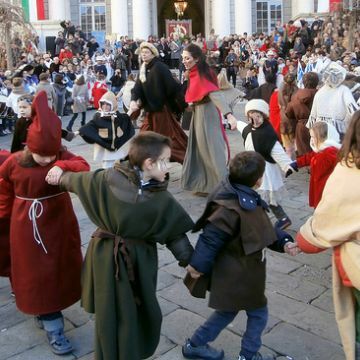 The ceremony of the Confeugo takes up an old tradition of the Republic of Genoa, documented since the 14th century but probably dating back even further. 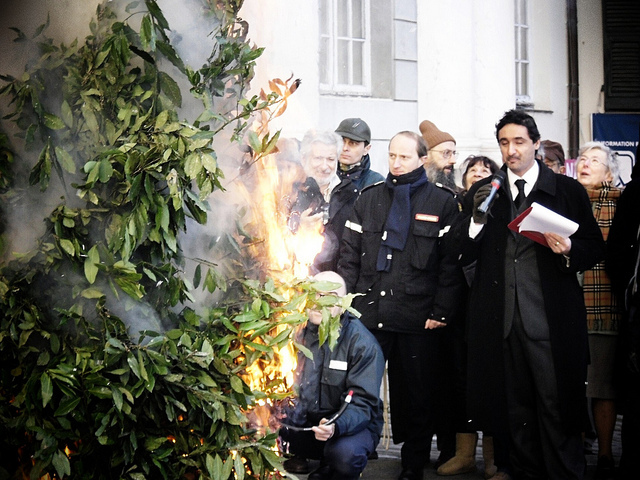 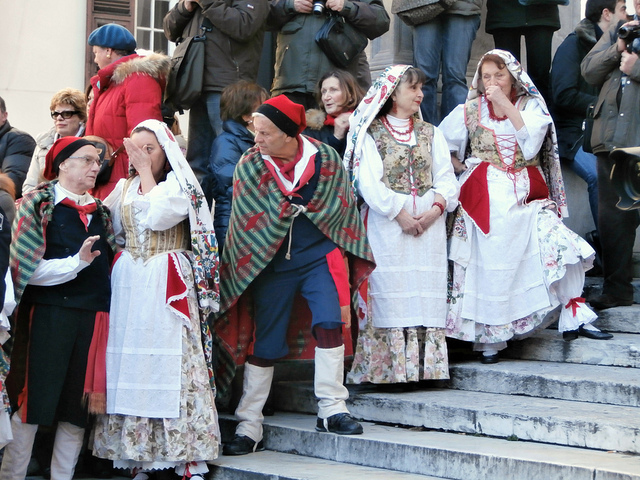 On the occasion of Christmas and the approaching new year, the city folk used to pay tribute to the highest authorities of the Republic, wishing them good fortune by presenting them with a trunk of laurel decorated with red and white ribbons; the gift was brought to the Doge on behalf of the population by the Abbot of the People (traditionally the representative of the Val Bisagno). 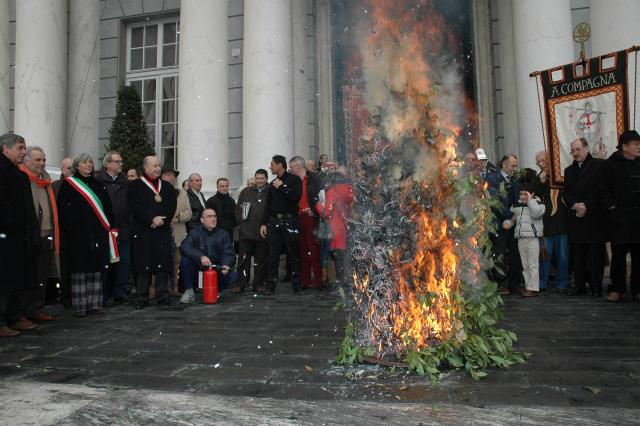 The trunk was then burned here as a further good omen, with those present trying to take home a burning ember as a good luck charm. 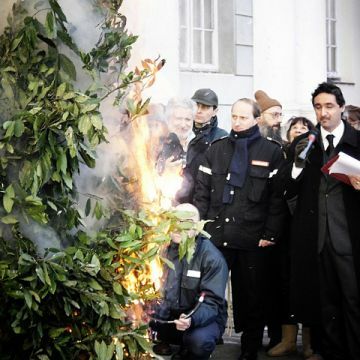 The ceremony underwent a series of stops and starts before being cancelled altogether at the end of the 18th century. 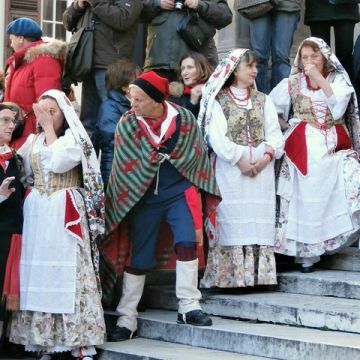 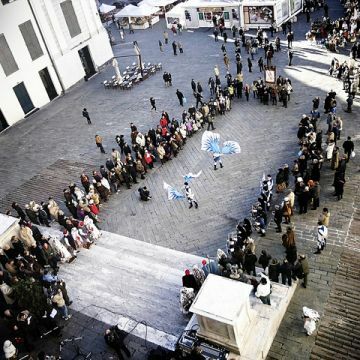 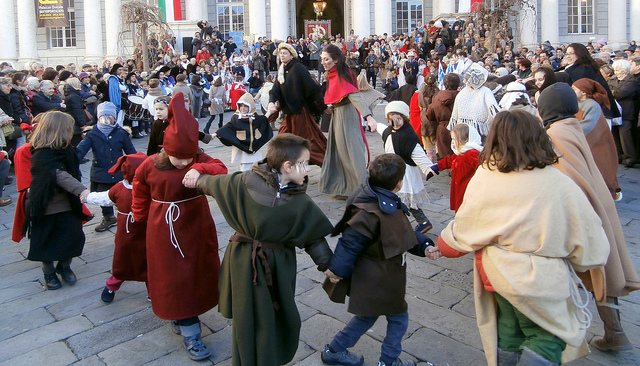 The tradition was then resumed in 1923 by "A Compagna", an association created in the same year to protect and preserve Genoa's culture and traditions. 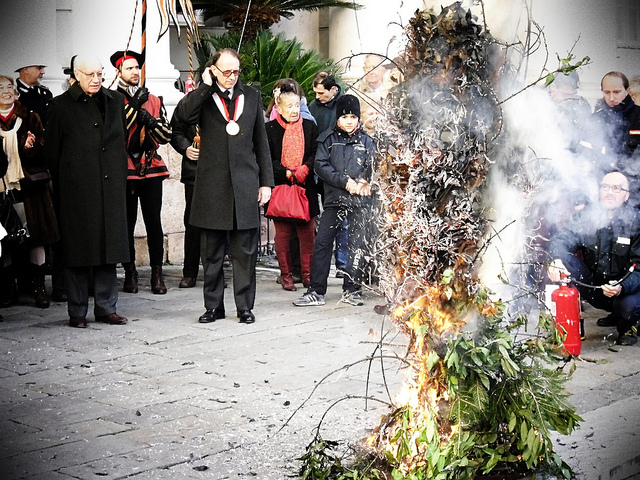 Ever since then, the president of "A Compagna" has played the role of the Abbot of the People, presenting the traditional laurel trunk to the Mayor. 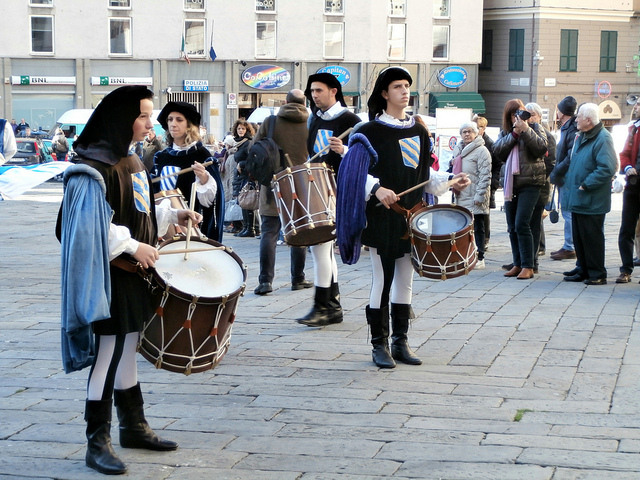 The two leaders meet in front of the Palazzo Ducale, following a procession of people dressed in costumes and flag-wavers that first accompanies the Abbot from Via San Vincenzo to Piazza Matteotti. 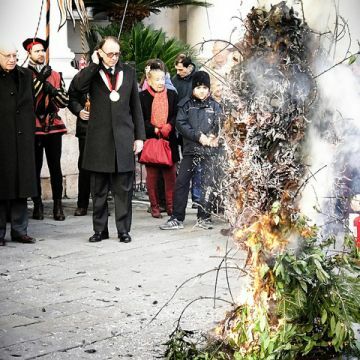 The Abbot greets the Mayor with the historic line "Ben trovòu messe ro Duxe" ('Well-met, Lord Doge'), receiving in reply "Benvegnou messe l'Abbou " ('Welcome Lord Abbot); he then offers the traditional "Confeugo" which is immediately lit, and as the "Campanon do Paxo" (the bell of the Palazzo Ducale, located in Torre Grimaldina) rings overhead, the laurel burns in a strikingly attractive setting. 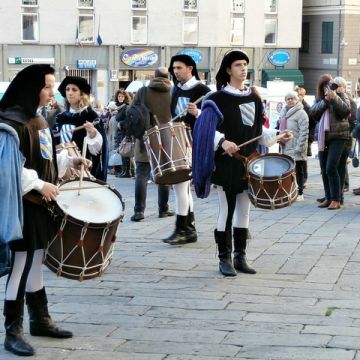 The ceremony also offers an opportunity for the Mayor and Abbot to voice their thoughts on the "state of the nation", on the current situation and prospects of the city.